The Jewelry Doctor Platinum & Diamond Boutique has been creating and restoring fine jewelry for the wonderful people of Northern Virginia, Washington DC and suburban Maryland for over 30 years. 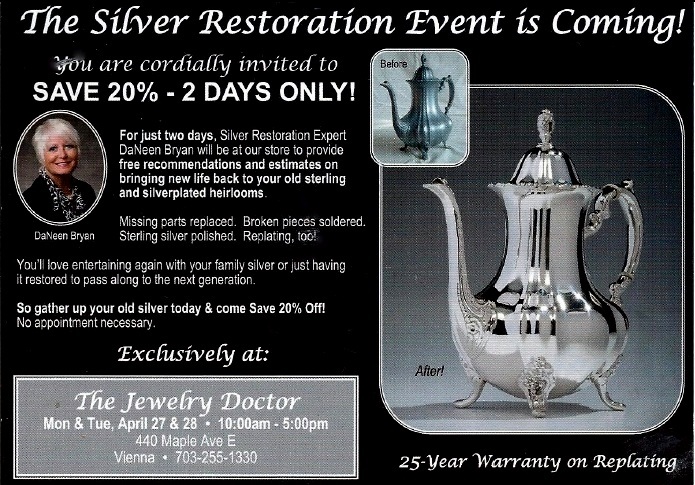 This entry was posted in Announcements and tagged DaNeen Bryan, Restoration, silver, The Jewelry Doctor. Bookmark the permalink.